Kenyan Author Ngugi Wa Thiong'o On 'Minutes Of Glory,' A Short Story Collection The U.S.-based Kenyan writer is often tipped for the Nobel Prize in Literature. Now he's released Minutes of Glory, a short story collection which he calls his "literary autobiography." 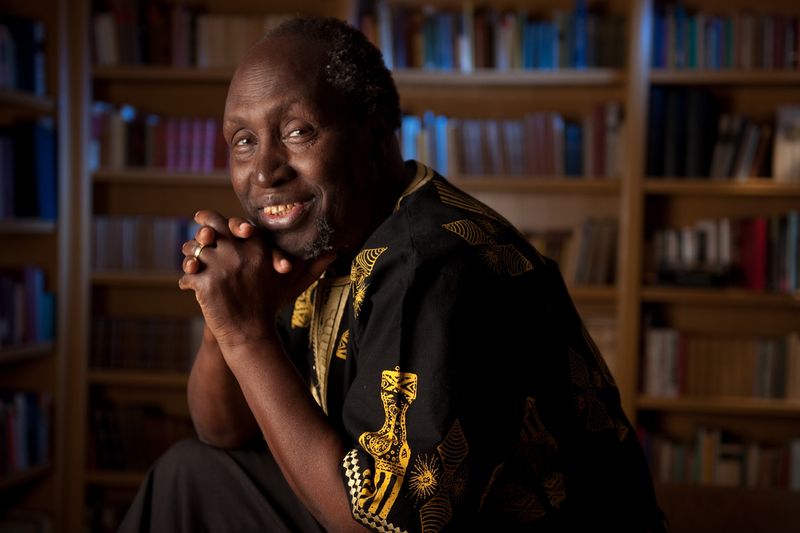 Kenyan author Ngugi wa Thiong'o, a professor at the University of California, Irvine who is often tipped for the Nobel Prize in Literature, has issued a new collection of short stories. Every year, when it's time to give out the Nobel Prize for Literature, British bookies lay odds on who might win. Every year, Kenyan writer Ngugi Wa Thiong'o is viewed as a contender. His body of works includes novels, plays and essays. But the first thing he ever wrote was a short story, which is included in a new collection of stories that range from the 1960s to the present. It's called Minutes of Glory, and he thinks of it as a kind of "literary autobiography." When Ngugi was a university student in Uganda in the early 1960s, he was a big fan of the school's literary magazine. One day he met one of the writers he admired and was so starstruck he didn't know what to do. "And I just blurted out, 'I have written a short story — would you like to look at it?'" Ngugi says. "He said, 'Yes! Do you have it?' And of course I did not have it with me, simply because I had not written one. That night I went back to my dorm, and I had to concoct something called a story." Beginning with that story, this new collection has a narrative arc that takes the reader from the sometimes harsh reality of village life through the changes that came with the end of colonial rule. A number of the stories were written just after Kenya won its independence from Britain. It was a time of great hope — which Ngugi says turned out to be a false hope for many. "The coming of independence became a promise of a better life to come for everybody — not just a few people, but for everybody," he says. "After independence, I began to see that there was a kind of difference between expectation and reality. And I tried to capture that in my short stories." 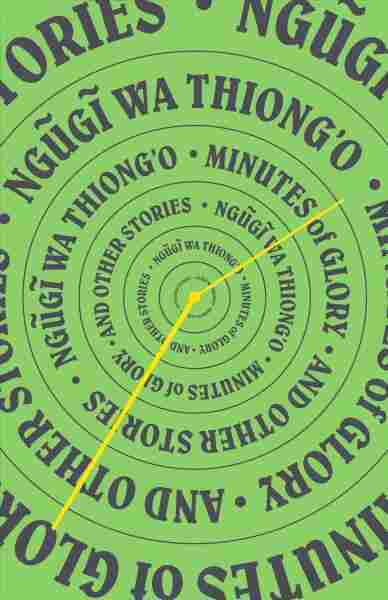 In "Minutes of Glory," the story which gives this collection its name, Ngugi tells of a young woman who leaves her village to become a bartender in one of the many beer halls that sprang up in postcolonial Kenya. Things do not go well for her, and at one point she yearns to return home but cannot. Ngugi evokes the sadness of what has been lost — a connection to the land. In any case the place was now a distant landscape in the memory. Her life was here in the bar among this crowd of lost strangers. Fallen from grace, fallen from grace. She was part of a generation which would never again be one with the soil, the crops, the wind and the moon. Not for them that whispering in dark hedges, not for her that dance and love-making under the glare of the moon, with the hills of TumuTumu rising to touch the sky. Ngugi's writing was often critical of postcolonial Kenya and its rulers. But he says it was not until he wrote a play — not in English, but in his native language — that he was seen as a threat and arrested. "The first play that I write in Gikuyu, my mother tongue, I am put in a maximum security prison not by a colonial government — by an African government," Ngugi says. "And that contradiction was so strong, and the questions that it raised became very, very important to me. And I realized the oppresser always, the first thing they do, is take away the language of the oppressed." While in prison, Ngugi wrote Devil on the Cross, his first novel in Gikuyu. Famously, the entire book was written on toilet paper. "But I keep on joking that the paper we were given as toilet paper was not the soft kind we find on television," he says. "So it was a bit hard, a bit rough, so to speak, but a very good writing material. It held the pen very well." After getting out of prison, Ngugi went into exile, living first in England and then the United States. Although he has not lived in Kenya for many years, he still writes about it. The most recent stories in this collection are both set there. Living in exile, he says, is a different kind of prison. "Prison is like internal exile and exile is like external prison," Ngugi says. "And both present the same challenges. How do you connect with the people from whom you're separated? So in prison I wrote the novel Devil on the Cross. In exile I try to do the same thing — to try to connect with Kenya, with Africa, through my imagination, through my writing." As for that elusive Nobel Prize, Ngugi finds it more amusing than anything. He is more interested in what he calls "the Nobel of the heart." "When I go to a place, and I meet a person, and they tell me, 'Your novel or your short story impacted my life,' that's a very special moment when as a writer I feel: 'My God, it was worth it.' It's what I call the Nobel of the heart, and I really appreciate that one," he says. And he adds, with a laugh: "The beauty of the Nobel of the heart is that every writer can have it, yeah?" Then again, maybe this year he will get that other Nobel.